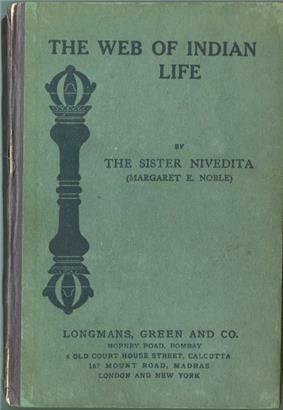 The Web of Indian Life (1904) is a book written by Sister Nivedita. This book is a collection of essays and created a sensation when it was first published. The introduction of the book was written by Rabindranath Tagore. 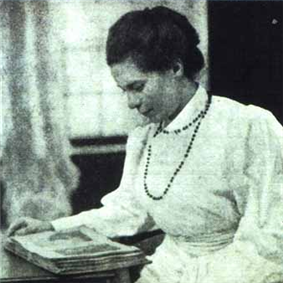 In these essays of the book, Nivedita discussed on several topics of India, lives of Indians and Hindu people. She also discussed some of the aspects of Indian life like caste system. the role and position of women in society, the Indian (Vedic) concept of birth and death, Indian pilgrimages, the invasion of Islam in India etc. ^ Elleke Boehmer (March 3, 2005). Empire, the National, and the Postcolonial, 1890-1920: Resistance in Interaction. Oxford University Press. pp. 79–. ^ a b "The web of Indian Life details". Sacred Texts. Retrieved October 9, 2012. ^ Savel Zimand (1928). Living India. Ayer Publishing. pp. 276–.